Preface: The first inscriptions on the UNESCO Memory of the World Register were made in 1997. By creating a compendium of the world’s documentary heritage—manuscripts, oral traditions, audio-visual materials, library and archive holdings—the program aims to tap on its networks of experts to exchange information and raise resources for the preservation, digitization, and dissemination of documentary materials. To date, 193 documentary heritages have been included in the Register, among them recordings of folk music, ancient languages and phonetics, aged remnants of religious and secular manuscripts, collective lifetime works of renowned giants of literature, science and music, copies of landmark motion pictures and short films, and accounts documenting changes in the world’s political, economic and social stage. Of these, three properties were nominated by international organizations. Heritages are listed chronologically according to their inscription date from oldest (Traditional Music Sound Archives, 1997) to youngest (Documents of Nanjing Massacre, 2015). 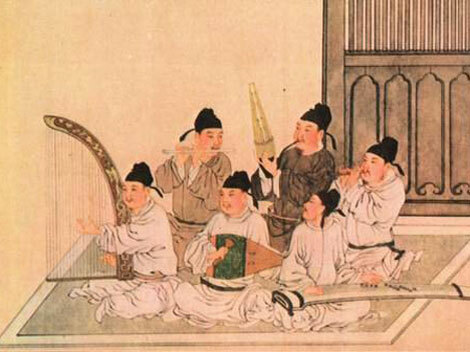 Music in ancient china: a structure of harmony. This is the most comprehensive Collection of Chinese traditional music. It represents memories of traditional music and folk music of more than 50 nationalities. 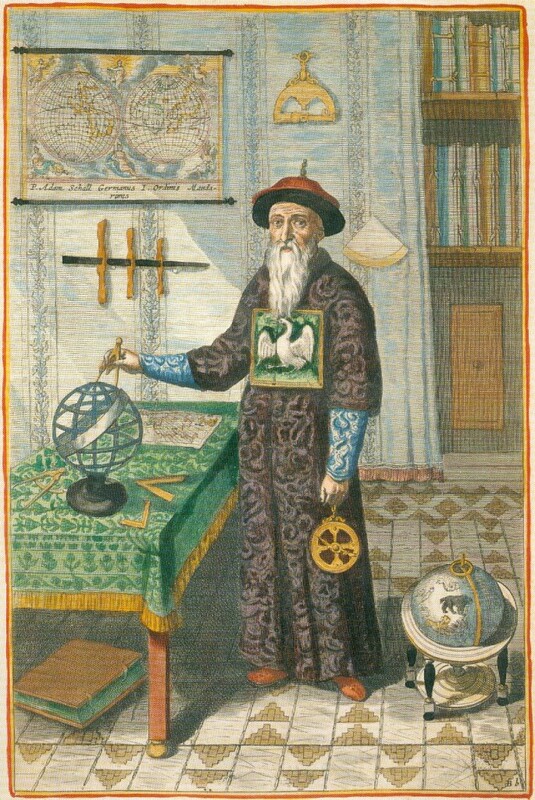 A portrait of German Jesuit Johann Adam Schall von Bell (1592–1666), who was a Jesuit missionary in China (Ming and Qing dynasties) from 1622 to his death in 1666. China, the birthplace of the Han culture has always been the center of oriental culture, of which the Qing Dynasty, China’s last feudal dynasty, is particularly representative. 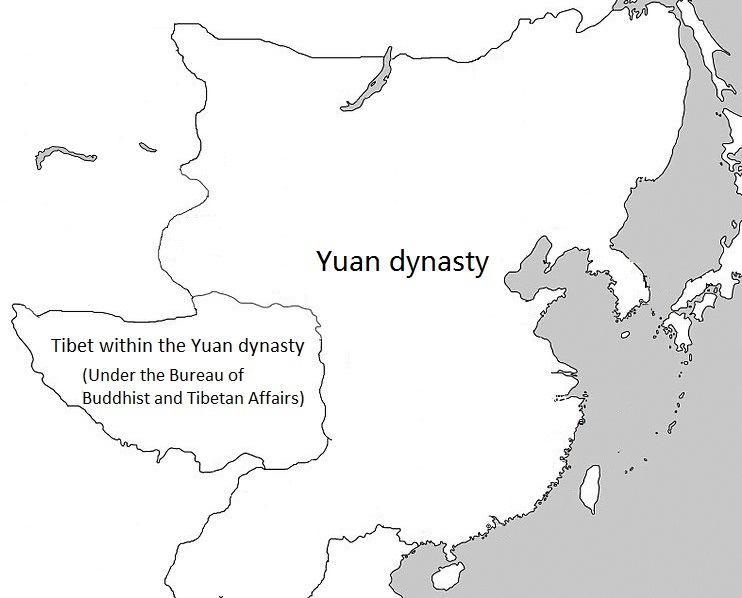 Its administrative policies transcended national boundaries and many east Asian countries were vassal states of this dynasty which witnessed dramatic social changes. The decline of the feudal civilization in favour of modern western civilization is a subject of study in current world-wide history research. The clash between Western and Eastern culture in 17th century China shaped world history. The archives relating to the activities of Western priests in 17th century China, contained in the confidential records of the Qing’s Grand Secretariat, provide a detailed first-hand account of the “Infiltration of Western Culture in China”. The Naxi people are the descendants of the ancient Qiang tribe, who inhabited the Huanghe and Huangshui valleys in northwest China. After constant nomadic migration, the early Naxis finally settled down in eastern and western areas along the upper reaches of the Jinsha river. Today approximately 300,000 Naxis live at the juncture of Yunnan province, Sichuan province and Tibet autonomous region. Despite the extremely difficult environmental conditions and the lack of material wealth, the Naxi still managed to create a unique and distinctive ethnic culture. As a consequence of this culture being handed down through religion, and of the priests of this religion being called “Dongbas”, this ancient culture acquired the name of “Dongba culture” and this religion was called “Dongba religion”. Thus, all the pictographic characters, scriptures, ritual dancing, and artworks and utensils related to this culture are prefixed by the word “Dongba”. 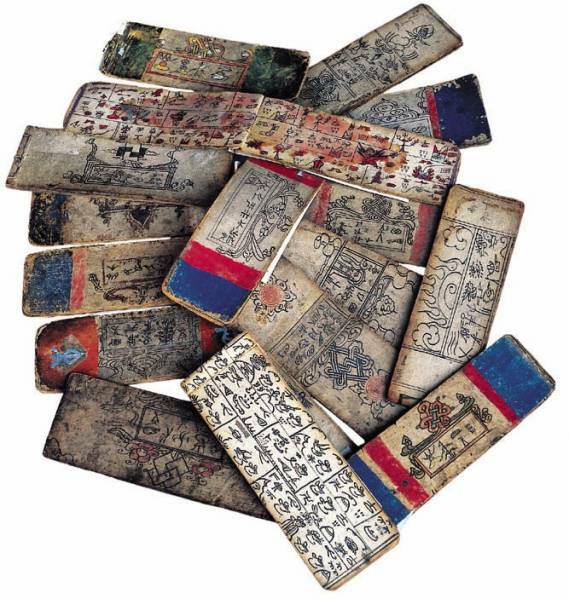 What is of a continual surprise to many people and which leads us to consider this culture as remarkable is the fact that the Naxi forefathers were able to create a system of writing with more than two thousand characters, using a particular pictographic script to give voice to their customs and write down their scriptures. As a result of the impact of other powerful cultures, Dongba culture is becoming dispersed and is slowly dying out. There are only a few masters left, who can read the scriptures. The Dongba literature, except for that which is already collected and stored, is on the brink of disappearing. In addition, being written on handmade paper and bound by hand, the literature cannot withstand the natural ageing and the incessant handling. Under such circumstances, the problem of how to safeguard this rare and irreproducible heritage of mankind has become an agenda for the world. In ancient China, the government mainly depended on its imperial examination system to select and reserve officials. The Palace Examination was the final stage in the sequence of civil service recruitment examinations during the Qing Dynasty (1644-1911). This examination was prepared and presided over by the Emperor in person. The Golden Lists are the name of the successful candidates and were written on a sheet of yellow paper. They are representative documents of the examination system of the Qing as it had emerged after many centuries of evolution since the Sui Dynasty (581A.D.). In the Qing dynasty, the regularly scheduled civil service recruitment examination was the only way for scholars to seek official positions. The sequence of the examination includes District Examination, Provincial Examination, Metropolitan Examination and the Palace Examination, which was held in the Hall of Preserving Harmony in the royal palace. Those who passed the examination were conferred the title of Jin Shi (进士). They would be selected in three categories and the name lists would be made public on a sheet of yellow paper, which is called Golden List or Yellow List.. There were two types of Golden Lists. The small one would be submitted to the Emperor, and the large one put outside the Chang An Gates. The large Golden List is 150-220cm long and 80-90cm wide. It was written in both Chinese and Manchu in Chinese ink and stamped with the Emperor’s Seal. The Manchu language was written from left to right, while the Chinese was written from right to left. The two languages meet in the middle of the paper by dates and the Manchu and Chinese character of the word List (榜). The paper starts with an imperial command and follows with the name lists of the passers of the three categories. The Emperor’s Seal is put over the dates of the two languages and also the junction of the paper edge. For easy hanging, there are cords on the upper edge of the paper every metre. The small Golden List is 100cm long and 35 cm wide. It is the same with the large one in style and content. The only difference is that it does not have the Emperor’s seal on it. There are over 200 pieces of small and large Golden Lists in the custody of the 1st Historical Archives with time span from the 6th year of Kangxi reign (1667) to the 29th year of Emperor Guangxu (1903). All documents have high calligraphic value, and can be considered pieces of art in their own right. Currently, there is only a simple register of these Golden Lists. A detailed catalogue will be available shortly. The civil service recruitment examination which dates back to more than 1300 years in the Sui Dynasty (581 A.D.) was developed to its zenith in the Qing Dynasty. It is also in this period that this system was brought to an end. The system had international impact and was modelled by Japan, Korea and Vietnam. Ambassadors to the Emperor from Europe introduced adaptations of the examination system in several countries in Europe. It has influenced subsequently civil service systems in many colonies and successor states. The content of the Qing Dynasty Golden List is both significant and distinctive, as it reflects the core of the examination system—Palace Examination and the format of the List. It is the original evidence for the study of China’s feudal examination system. The names of many prominent historical figures could be found on the list. The 1st Historical Archives hold many documents related to the list that help to interpret those in their contemporary context. The Golden List of the Qing dynasty is typical Chinese traditional paper document. It was written in Chinese ink on handmade paper. The Golden list is one of the major forms of traditional documents, and is of great significance to the study of Chinese ancient document. Meanwhile this document was written in both Chinese and Manchu, it may serve as reference for those who study the translation of the two languages. These documents were originally preserved by the Grand Secretariat, and are unique in the world. The existing documents range in date from the middle of the 18th century to the beginning of the 20th century, and cover imperial architecture in Beijing, Tianjin, Hebei, Liaoning and Shanxi. The archives are rich and invaluable resources, as there are drawings and models about architectural surveys, designs, plans for construction and decoration, referring to cities, palaces, gardens, altars, mausoleums, official residences, modern factories, and schools. There are various materials, including land surveys, architectural sketches, construction plans, and drawings of the floorplans, elevations, sections and decorations, as well as models and notes on construction progress. It also contains some written materials on construction plans, engineering notes, even some imperial or official orders. Yangshi Lei Archives shows its value in many aspects. 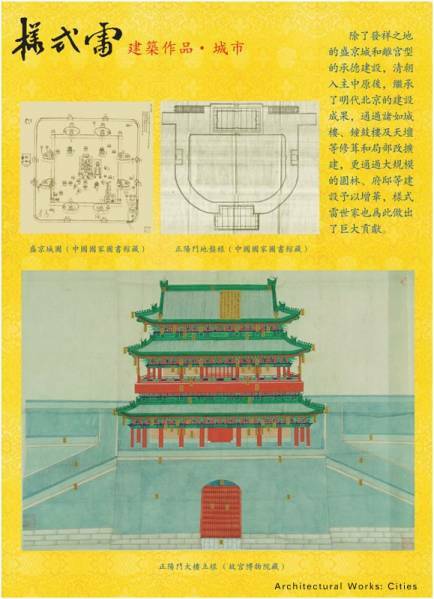 Most of the Archives concern extant structures, providing unparalleled insight into Chinese architectural history, traditional architectural planning, engineering, and principles of design. At the same time, we can gain further understanding of Qing society, economics, culture, as well as the architectural principles, aesthetics, and philosophies. The Yangshi Lei Archives is not only a treasure trove of Qing-era architectural knowledge, but Qing-era cultural knowledge as well. 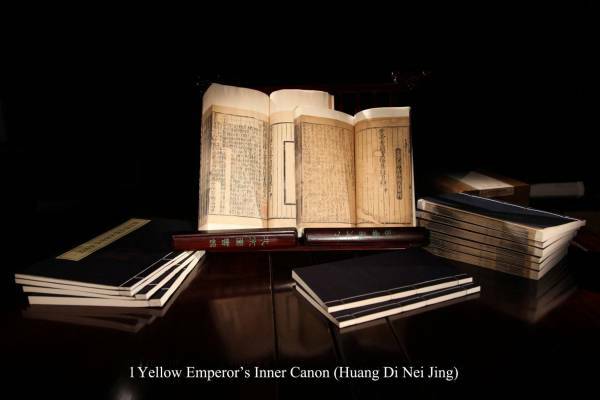 Huang Di Nei Jing (《黄帝内经》Yellow Emperor’s Inner Canon) is the earliest and most important written work of Traditional Chinese Medicine. It was compiled over 2,200 years ago during the Warring States period (475-221 BC) and is regarded as the fundamental and most representative medical text. The version nominated for inscription in the Memory of the World Register was printed and published by Hu’s Gulin Sanctum in 1339 using the woodblock-printing technique. It is the earliest and the best-preserved version of its kind now extant. The compendium lists, analyses and describes all the plants, animals, minerals, and other objects that were believed to have medicinal properties. 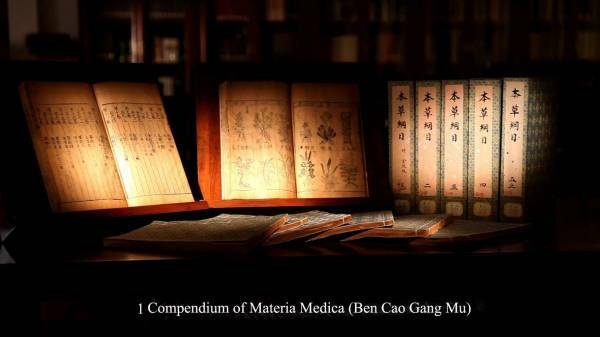 The compendium in effect epitomizes the pharmaceutical achievements and developments of East Asia before the 16th century. On the basis of his predecessors’ achievements in the pharmacological studies, Li contributed further by supplementing and rectifying many past mistakes and misconception as regards the nature of many medicinal substances and causes of various illnesses. The compendium in fact heralds the dawning of modern pharmacological studies. Letters, reports, account books and remittance receipts resulting from communications between Chinese emigrants overseas and their families in China. They record first-hand the contemporary livelihood and activities of Overseas Chinese in Asia, North America and the Oceania, as well as the historical and cultural development of their residing countries in the 19th and 20th century. They constitute evidence of the Chinese international migration history and the cross-cultural contact and interaction between the East and the West. A collection of 22 invaluable original documents including imperial edicts issued by the Yuan Emperors, religious edicts issued by the Imperial Preceptors and orders from Tibetan political rulers written in Tibetan language and the rare Phags-pa script. They provide authentic evidence in understanding the political, religious, economic and cultural aspects of ancient Tibet. These documents were nominated not only because they were part of the very rare Yuan-dynasty paper archives, but also because they were written in Phags-pa script, the new Mongolian character, which is extremely rare in the world. 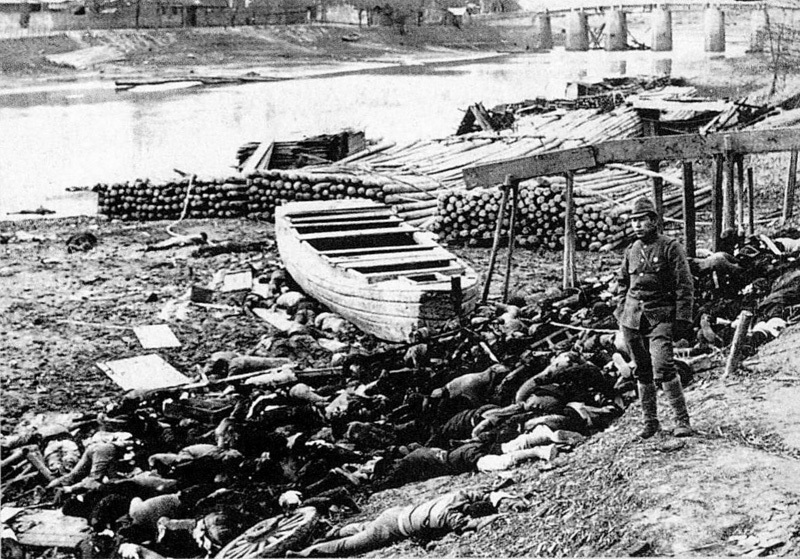 The documents consist of three parts: the first part concerns the period of the massacre (1937-1938), the second part is related to the post-war investigation and trials of war criminals documented by the Chinese National Government’s Military Tribunal (1945-1947), and the third part deals with files documented by the judiciary authorities of the People’s Republic of China (1952-1956). “Third Meeting of the International Advisory Committee of the Memory of the World Programme”. UNESCO Memory of the World Programme. Retrieved 2009-09-06. “UNESCO MEMORY OF THE WORLD PROGRAMME: The Asia-Pacific Strategy”. UNESCO Memory of the World Programme. 1999-04-17. Archived from the original on 2005-02-28. Retrieved 2004-10-21. “Twenty-three new inscriptions on Memory of the World Register of Documentary Collections”. UNESCO Press. 2003-09-01. Retrieved 2009-09-06. “Archives of the International Prisoners of War Agency, 1914-1923”. UNESCO Memory of the World Programme. Retrieved 2009-09-07. “Archives of the International Tracing Service”. UNESCO Memory of the World Programme. Retrieved 2013-08-05. “League of Nations Archives 1919-1946”. UNESCO Memory of the World Programme. Retrieved 2009-09-07. “UNRWA Photo and Film Archives of Palestinian Refugees”. UNESCO Memory of the World Programme. Retrieved 2009-09-07.